ICYMI, in response to the glaring lack of diversity among the 2016 Oscar nominees, the Academy recently announced major changes will be coming to the voting process. The Academy's rules have long needed an update, and among the first to congratulate them on their bold new moves was Oscar nominee Matt Damon, who spoke to Bustle about Hollywood's diversity issues at the Sundance Film Festival. 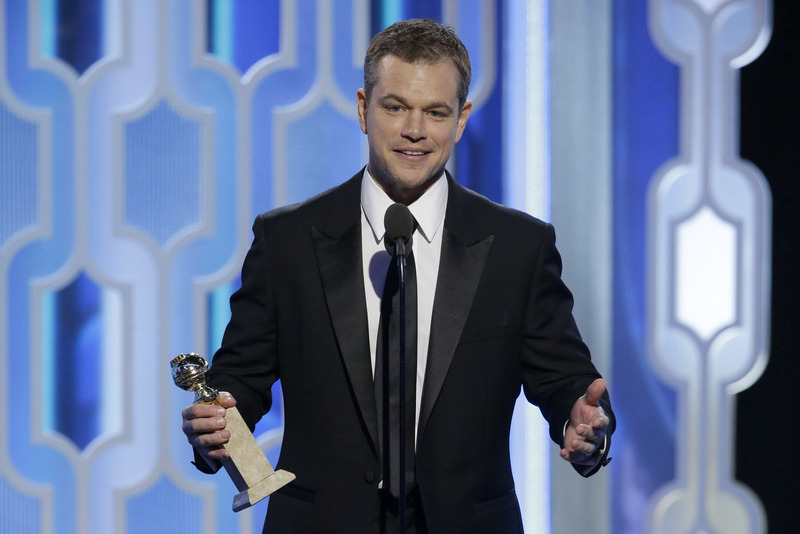 Damon is up for Best Actor for his role in The Martian this year, but he was quick to support the Academy's changes designed to create a more diverse voting body. "I was obviously very happy that they did that," Damon says. "It was shameful and embarrassing that there were two years in a row without a single actor of color nominated. That's insane," he tells Bustle. "And so I'm glad that Cheryl Boone Isaacs took some action. It's a strong first step. That is all it is, it's a first step. This is gonna be a very long road. But I'm glad there's at least a first step." According to the Academy, Oscar organizers have pledged to double the membership of women and minority voters in the Academy by 2020. Instead of having new members be sponsored by existing members, as things have been done in the past, the Academy will be launching a global campaign to find new members who qualify to join their ranks. Additionally, every member will be granted a 10 year voting status. These changes come in response to the outcry over the lack of diversity in nominees that has inspired an Oscars boycott from the likes of Jada Pinkett Smith, Will Smith, Damon's friend George Clooney, and more. Damon has made no mention of the protest, but it is clear from his strong words the diversity issue is important to him. The actor's support of the Academy's plan to diversify its voting body in the coming years is heartening, as is his acknowledgement that the Academy still has a long way to go when it comes to having nominees reflect the full spectrum of amazing films released each year.